The coolness that exists these days on etsy is sheer bliss. 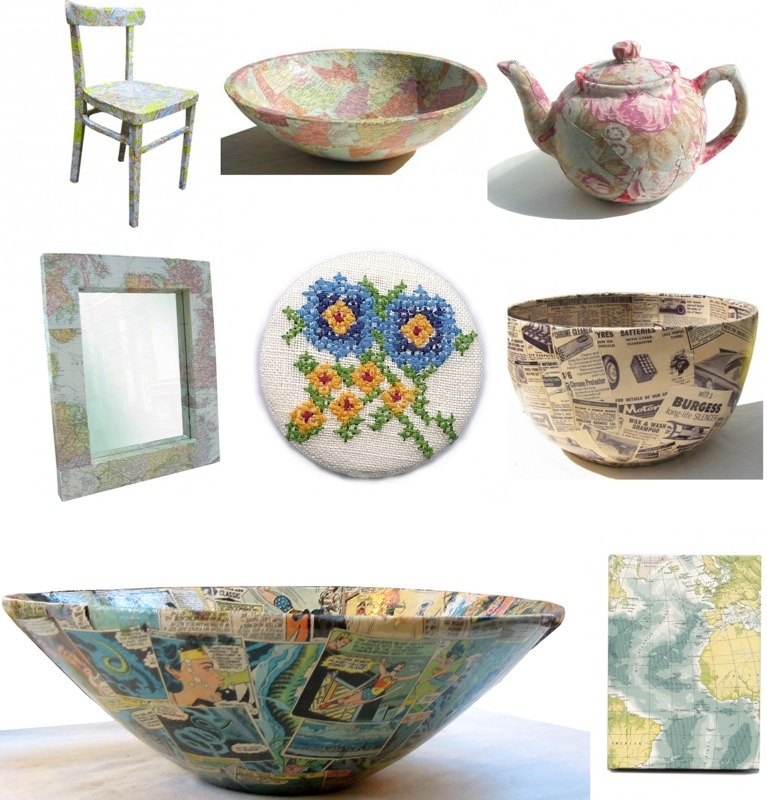 Take this decoupage art by UK artists, Amelia Coward and Lee Hunnisett De Beer of Bombus, which means "busy bee". Appearing in the Telegraph and the London Times, this design duo uses vintage maps, hand-printed linen, and comics to cover chairs, tables, bowls, books, teapots... You name it, they can cover it. And Amelia has her own etsy store, where she'll customize something just for you. After peeking at their work, I had to blog it because it's pretty cool and I think some of the chairs would be a fun mix around a tulip table or wood farmhouse table, give the dining room a little character... Amelia and Lee also have a website where you can view more of their products. Thanks Amelia for writing in, great work! Reader Q: Cool Spots in Raleigh/Durham?